The lecture presentation presents the surprising, if not shocking similarities between Christianity and Islam. The facts presented that would demonstrate that Islam is no more foreign to Western Europe than Christianity is! The many similarities between the two religions include the early rituals and practices of Christians, as well as the alleged teachings of Jesus depicted in the New Testament Bible, and the teachings of Muhammed (saaw) and the Quran. What people will find is that many Muslim practices and traditions encountered by Europeans are actually a revival of early Christian ritual practices and worships in Europe. Did Jesus and Muhammed use the same word for God? What did Jesus and Muhammed teach on Forgiveness? What did Jesus and Muhammed teach on Repentance? What did Jesus and Muhammed teach on the key to Salvation? What did Jesus and Muhammed teach on Supplicating and Ritual Prayer? What did Jesus and Muhammed teach on being called the ‘son of God’, literal or a metaphorical Semitic expression? Is Jesus God, and was the Trinity originally taught by Jesus? What is the Muslim approach to the Bible? Can Muslims and Christians work and live together in mutual respect and co-existence? For more information on the still existing prohibition upon Christians to eat meat not drained of blood at the time of an animal’s slaughter, read this detailed article by a prominent non-denominational Christian apologetics group entitled ‘Must Christians Today Abstain from Blood?’. 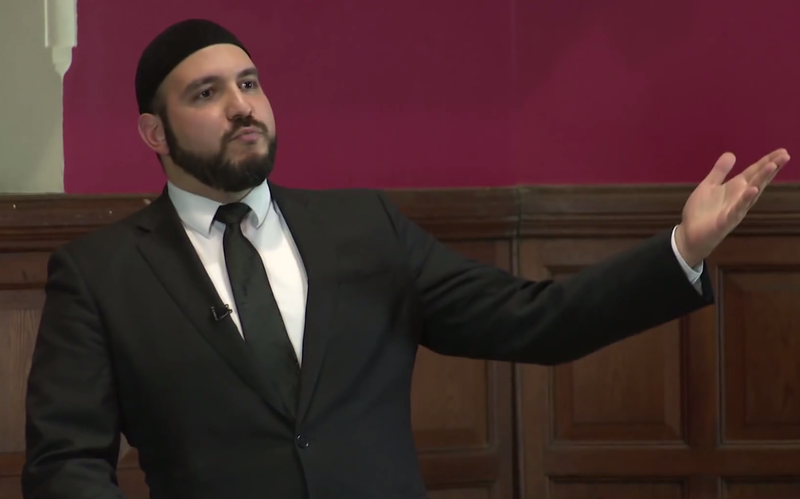 Thank you for this very enlightening lecture, I’m hoping to invite my Christan and Muslim neighbours and friends for a Jummah feast on two fishes and fresh loaves to break open between us after we first listen to these timely words, peace be upon you Abdullah Andulusi and once again, thank you very much indeed.